Yup, I have decided. I have woke up one morning and told to myself: “I have to do it.” What, you ask? Well, this template shop. I was so angry about so much web and yet, no trace of some good printing templates and resources. Not everything I was trying to find is adequate for today’s demanding market. I was disappointed that community where I should belong, as a graphic designer is so poorly organized and there is no good template shop. Try searching for WordPress theme, you will be amazed by the amount of relevant search results. Why is that, I asked myself. One of the main reasons is that WordPress community is fairly new and to succeed they need to work very hard. And guess what, they did. But not a trace of a solid template shop. WordPress community is so big, and well organized these days, that is a real example how new communities should work to become successful. Unfortunately, this is not the case with the printing community, and community that does traditional media design. Why? Is that because nobody is printing these days? Shortly, NO. If you look at the graph that shows the volume of printed material during the time, you’ll be surprised that this is the time when we print more than ever before. And yet we lack good resources. According to http://www.smitherspira.com/ The digital printing market will grow from $131.5 billion in 2013 to $187.7 billion in 2018, a compound annual growth rate of 7.4%, according to the latest research from Smithers Pira. Digital’s share of the total print market will grow from 9.8% in 2008 to 20.6% in 2018, with inkjet growing faster than electrophotography. All the offset processes will see their value shares fall, particularly in web offset. 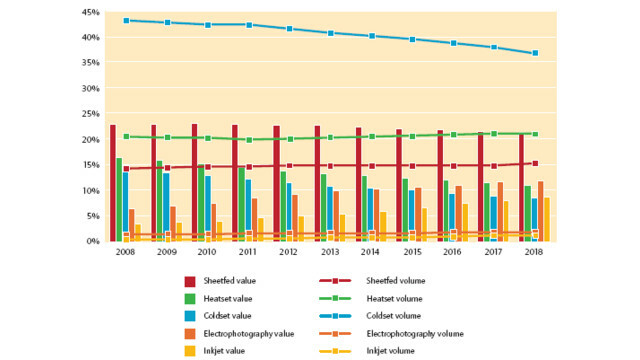 A new study from Smithers Pira – The Future of Offset versus Digital Printing to 2018 – shows how the issue of direct competition between digital and offset printing is a daily occurrence for print service suppliers, in determining which process they should use for a particular job. As we can see from this, print is still very far from dying. Especially digital printing. That was my main motivation to make this template shop and provide people around the globe with high-quality templates. What defines template as “high-quality”? Well, first, when you print something there is a great chance that you can make mistakes regarding print size, raster quality, margins, etc. High-quality templates must not have those kinds of errors. I do not want to be harsh on my friends on various marketplaces, but you are making big mistakes. I know, they are young and still inexperienced, but to make quality template you need much more than just few good tricks. Talking about design… Well, that is very strange behavior. Take a look at any template shop. Young designers are trying to be the same. There is no much individuality and bravery anymore. Sometimes the influence of trends have such a big impact on their designs. I will give my best to try to change that. Templates I build are not so constrained. They are modular. You can do anything. I am making building blocks that you can arrange according to your needs, so even if 1,000 people buy one template, small chances are they will be the same. Isn’t that cool? 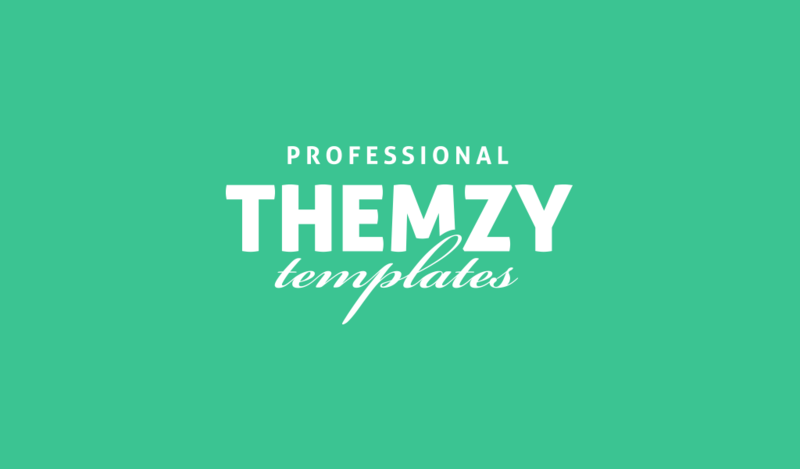 If you agree with me, at least partially, please join me on this journey with my template shop and I promise you I will teach you so much and provide you so much cool templates.